A Past President of the ALA, Dr. John (Bud) Murray Frederickson, passed away on April 5, 2017 in Vancouver, Canada. Dr. Frederickson was born in Winnipeg of Icelandic descent on March 24, 1931 but grew up on Vancouver. Inducted into the ALA as an Active Fellow in 1977 after being proposed by Dr. Douglas Bryce and G. Arnold Henry, Dr. Frederickson was elected President in 1991and served with great pride and honor. After his retirement, he was elected to Emeritus status in 2002. Dr. Frederickson received his undergraduate in 1953 and medical degrees in 1957 from the University of British Columbia. He would continue his medical education with an internship at the Vancouver Hospital followed by a surgical residency at the Shaughnessy Hospital in Vancouver. 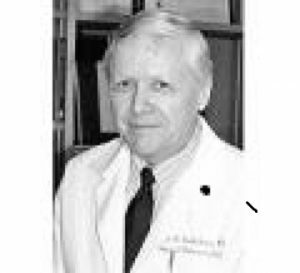 In 1963, Dr. Frederickson completed an Otolaryngology residency the University of Chicago that was preceded by residency training in pathology and surgery at Vancouver Hospital. For two years, he was selected as a Visiting Investigator at the University of Freiburg, Germany prior to returning to the United States to accept his first teaching position at Stanford University where he began a long and distinguished career in Academic Otolaryngology and Head and Neck Surgery. When he returned to Canada, Dr. Frederick was the Head of Clinical Sciences at the University of Toronto for 15 years. Between 1982 – 2002, he served as the Lindburgh Professor and Head of the Department of Otolaryngology/Head and Neck Surgery at Washington University, St. Louis until his retirement.  Among his many contributions to the specialty, Dr. Frederickson was elected President of the American Laryngological Association in 1991. He was also a member of the Barany Society Executive, chairperson of the Examining Committee of Otolaryngology for the Royal College of Physicians and Surgeons of Canada, a member of the American Board of Otolaryngology and served as editor of the American Journal of Otolaryngology. He was a long-standing member of the prestigious Collegium Oto- Rhino-Laryngologicum, and Chairman of the Research Committee for the American Academy of Otolaryngology/Head and Neck Surgery. He continues to receive recognition for his significant research contributions to the fields of vestibular neurophysiology and microvascular reconstructive surgery of the head and neck. Affectionately known as “Bud”, his conscientious, kindly presence was appreciated by patients, colleagues and all who knew him. During his non-working time, he followed many sports but particularly his beloved soccer. It is said that his life story would not be complete without mention his love for jazz and classical music. His memories will forever be treasured by his wife Alix (nee Gordon), daughters Kristin and Lisa, son Erik; and nephew and nieces.